We offer flexible term office space in Spokane with executive suites, including full-service office space, virtual offices, day offices, meeting room rentals, and much more. 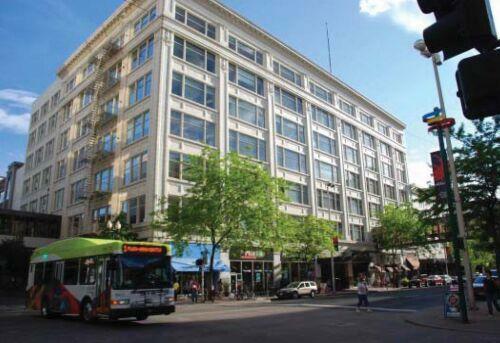 Not only can you obtain immediate occupancy, but we offer short-term agreements that allow you the flexibility to expand or cut back your business space on short notice; a choice not usually available in the conventional Spokane office space market. In addition to an office space, our Spokane office space executive suited offers the tools you need to be a successful business including; high-speed internet access, personalized telephone answering, mail service, voice mail, appointed conference rooms, secretarial services, a reception area, and a kitchen. We offer full service flexible term office space on the 2nd floor, starting at 96 square feet, for businesses in the Spokane Metropolitan Area and a professional Spokane virtual address for businesses around the world. Our location also offers offices that can be rented by the hour for mobile business professionals and appointed meeting rooms with seats for 8 and 12 people respectively are available for booking by the hour, day, or week.